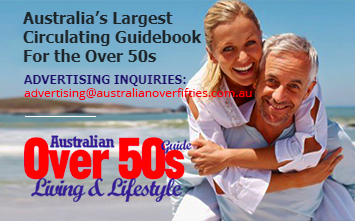 15 February 2019 According to Navin Pasricha, Chief Editor of the Australian Over 50s Living & Lifestyle Guide, “2019 is going to be a landmark year, with companies finally focusing on the Over 50s demographic, now that it is well established that this age group is a significant powerhouse for many economies. “We can expect a year of innovation in the marketing and advertising media that are attractive to the 50s, 60s, 70s and Seniors. 8 November 2018 InternationalLiving.com has rated Malta as the best Island in the world to retire to, followed by Mallorca in Spain and Penang in Malaysia. g. any matter reasonably incidental to a matter referred to in paragraphs (a) to (f) or that [the Commissioners] believe is reasonably relevant to the inquiry. 2 September 2018 According to initial results of a nationwide readers’ survey by the Australian Over 50s Living & Lifestyle Guide; a third of Over 50s are looking to Downsize from where they currently live. The downsizers have plenty of choices, such as retirement villages, over 50s resorts, apartments, townhouses and smaller landed property. High-Rise the Answer to Australia’s Ageing Population?